A 360 ° VR video is the representation of a scene where the image is recorded in all directions at the same time. During video projection, the user controls the direction in the scene, up, down, or sideways. The projection of the video can be done on different supports: computers, smartphones, tablets or on another viewing device like a VR glasses. As a result, the potential of the VR 360 ° video market will increase considerably and the various sectors such as tourism, real estate, advertising, education, culture, entertainment, health, social etc. Will be transformed. Read below optimized with the chrome browser. Read below optimized with the chrome navigator. ALTA VR 360° Virtual reality drone. 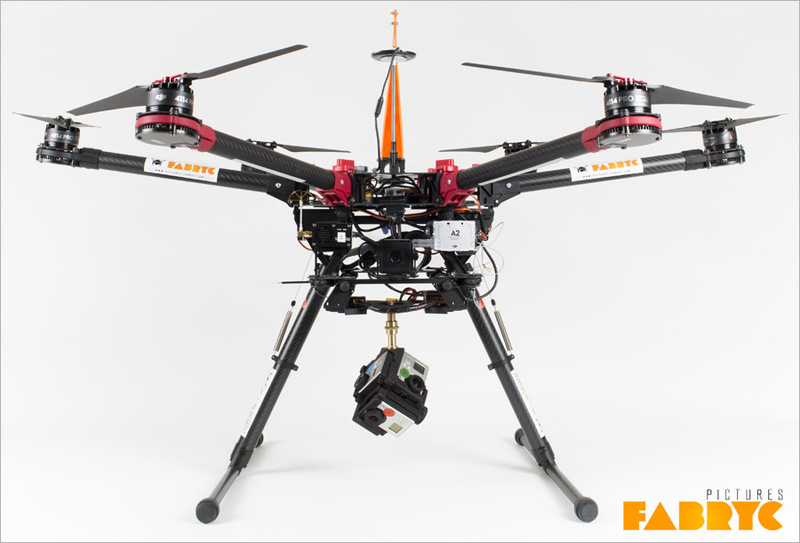 We developed a system of multi-cameras based on an ALTA drone. 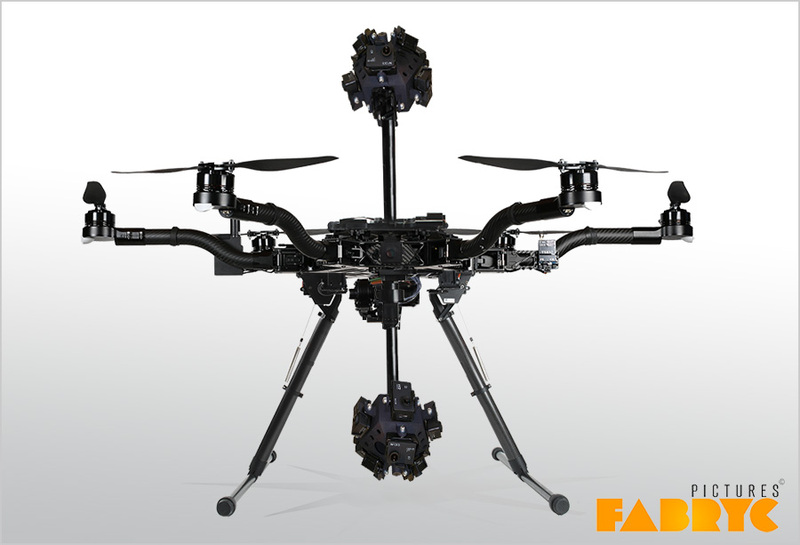 This Drone for 360 ° video can be equipped with 10 cameras of GoPro type. The VR (virtual reality) is a new format of video currently very in trendy . This new technique will bring new dimensions to your projects! Thanks to our fully stabilized system, you will no longer lose quality in Post-Production by trimming the image to stabilize it. 4 cameras are installed on the top and 6 others under the drone. 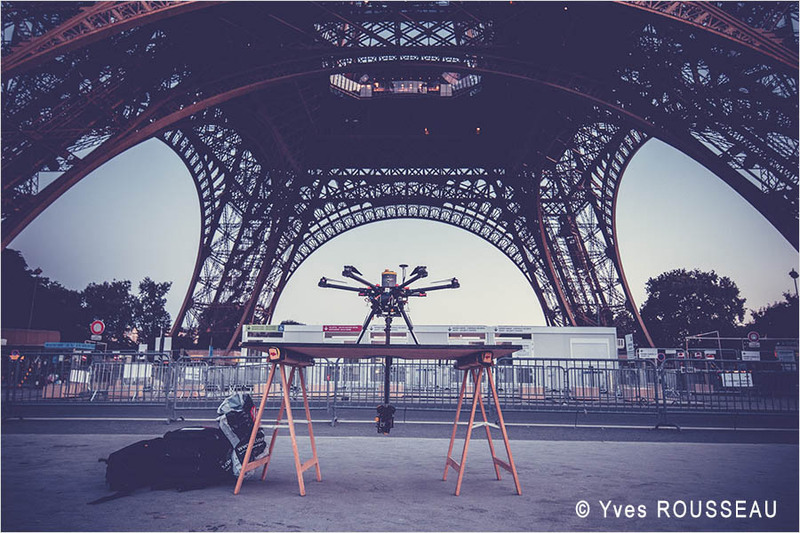 This is to create a video sphere and completely cover the area of ​​the drone. 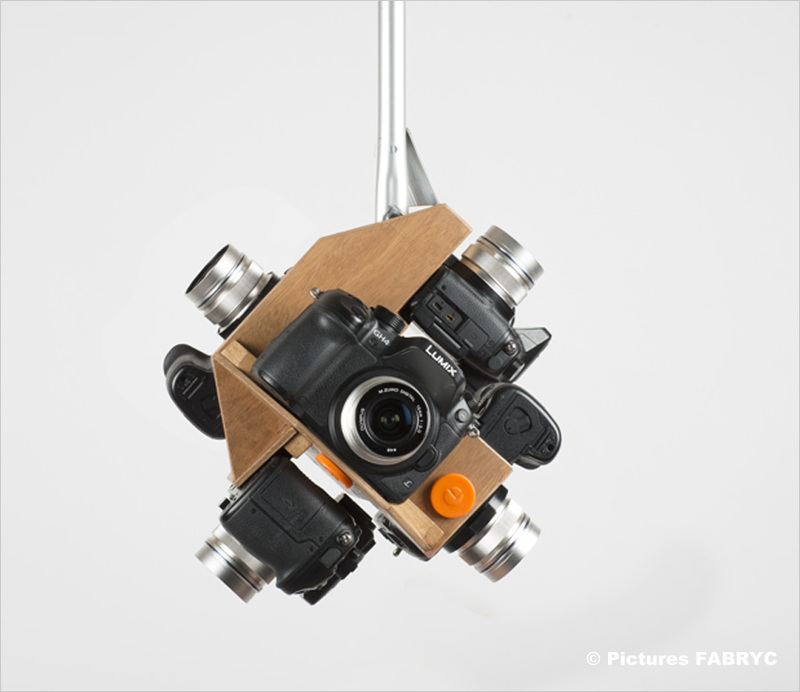 In order to be as close as possible to your realization needs, Pictures Fabryc offers you different 360 ° video systems. The Rig 360 GoPro is an innovative and original system for creating a 360 ° spherical and interactive video. With the possibility of embarking 6, 7, 12, or 16 GoPro on our drones, the Rig 360 GoPro brings a whole new vision of the panoramic plane, in total immersion! 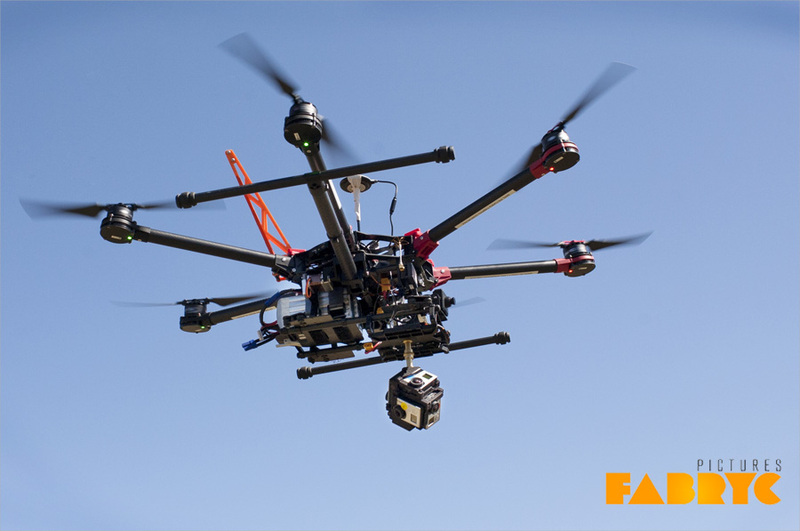 The drone train is automated and rises quickly to release the field to the cameras. For even more quality, we also have a variant with 6 cameras Panasonic GH4 in 360 ° configuration. This more elaborate system will allow us to propose true optics as well as 4K resolution and camera control in manual mode.